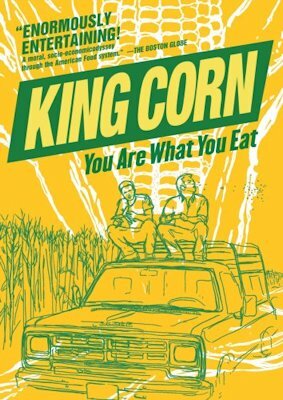 This is a rambling little film about two not-too-bright young men who decide to grow a acre-sized crop of corn. They don’t actually do anything. They hire people to perform the steps. In the process you learn about herbicides. You learn that most corn grown is not edible. It is used for animal feed, but it actually poisonous to cattle. You learn how astronomical agricultural subsidies came to be. They also learn about the ubitquity of high fructose corn syrup and how it is killing people. They never challenge anyone they interview. You come away with an understanding of how economics has driven agriculture into an insane place. The family farm is being forced out to be replaced by the factory farm.